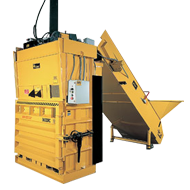 The S60XDRC Automatic Baling System offers a unique combination of power and flexibility for any large recycling operation. The large 7" cylinder, 92,360 lb. ram pressure, 40 second cycle time, coupled with its rear hopper and conveyor, makes this system stand out in its' class. In fact, the S60XDRC is in a class by itself. 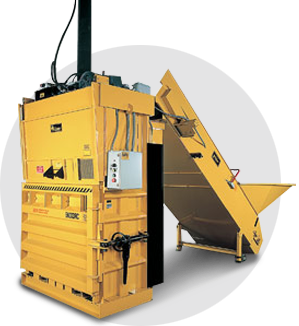 It has the power and capacity to quickly and efficiently bale a large variety of materials. It can handle plastic bottles, steel. cans, aluminum cans, and other recyclable materials. The versatility of this machine offers you the option to manually feed various materials through the front door.